Coinciding with the launch of the Apple iPad 3 this month, Skyscanner has put together a ‘top ten list’ of their favorite apps for the iOS platform that no traveler can do without. While Skyscanner is naturally in amongst them, the brains behind the flexible flight search app can be forgiven for they certainly know what they’re talking about. Unfortunately, we’re yet to see an app that can help us whizz by all those airport queues, but while we wait for that we can certainly make use of the following ten apps to reduce the stress involved in our travels. At the top of Skyscanner’s list is an app that absolutely every traveler will use – the XE Currency Converter app does exactly what it’s supposed to, quickly calculating the value of the local currency into any of the world’s major currencies. Obviously, a very handy app for any traveler who wants to know how much they’re actually spending. 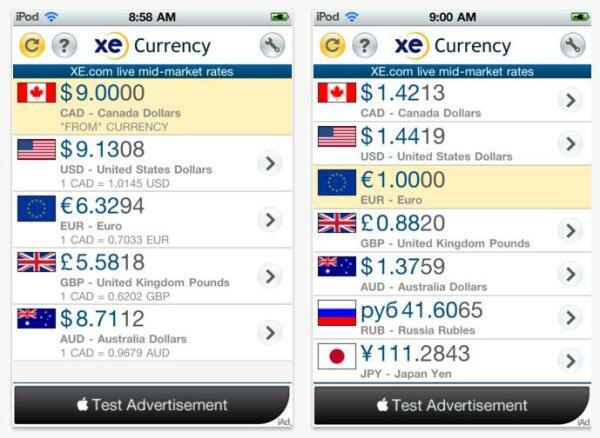 XE's fantastic little currency converter - see who's ripping you off! 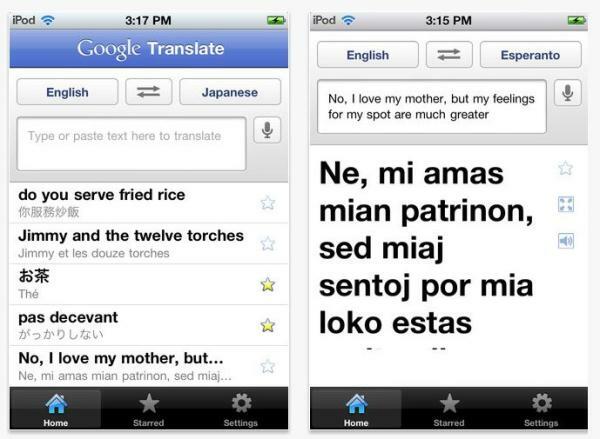 Just as useful is the Google Translate app, which lets users translate what they want to say into more than 60 languages, while also having the ability to translate words from speech. Next up is the TripAdvisor app. For all the arguments over the validity of user reviews on TripAdvisor, there’s no denying that the app is a great resource for travelers. Whether looking for a nearby hotel or booking a table at a local restaurant, TripAdvisor is guaranteed to throw up a whole clutch of suitable options. As we expected (given this is Skyscanner’s own list), their own app comes in fairly high. Skyscanner claim to be the most powerful flight search app in the world, offering more than 1,000 airlines to choose from in that hunt for the cheapest flight. 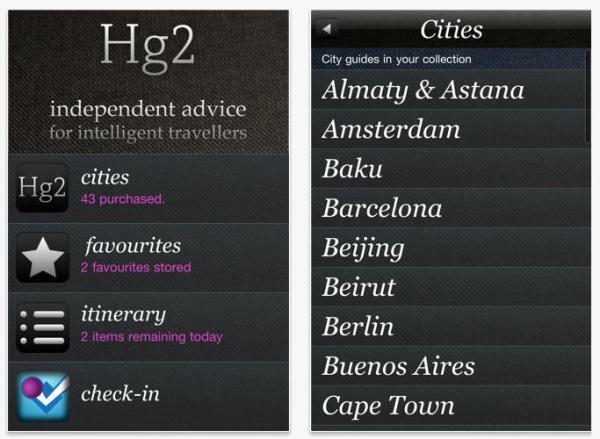 HG2 is perhaps one of the lesser know apps on the list, but we agree that it deserves its place. HG2 is the essential guide for all 43 of the favorite city-break destinations it covers, providing comprehensive information on hotels, bars, attractions, goings-on and more. The only criticism is that many destinations have been left out, but over time we can expect to see many more cities added to the list. 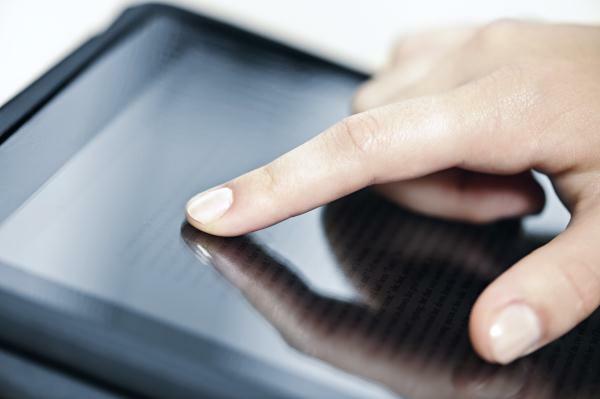 An absolute must for anyone stuck on a long haul flight, the Kindle app transforms any mobile device into an e-reader, providing an exhaustive collection of reading material via the Amazon Storefront. 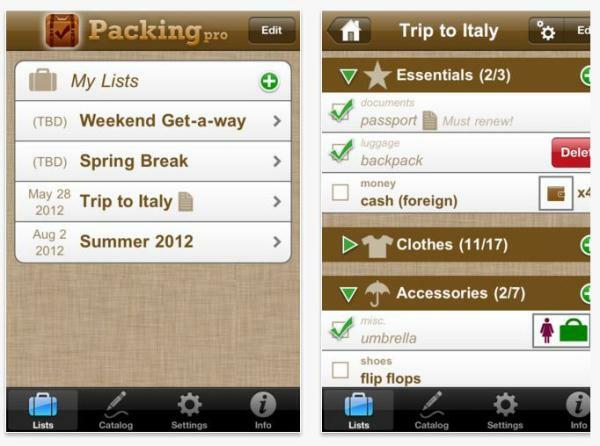 Packing Pro is one of the more practical travel apps around, especially for the disorganized traveler. The app serves as a basic checklist of things to pack before setting off. For those who aren’t sure what they should be packing, simply tell Packing Pro about the nature of the trip (business, adventure etc) it will come up with its own suggestions. Of course, when travelling somewhere new it’s always nice to sample some of the local cuisine, which is where Urbanspoon comes in really handy. Enter a price range, desired cuisine and location, and the app will pull up a list of all the suitable dining venues within range. Alternatively, just give the iPhone or iPad a shake and it will come up with something completely random. Number nine on the list is TourWrist, a very original application that allows users to look at and create 360° panorama virtual tours of various destinations across the world. Discover a wonderful view and capture the moment or use it to get inspiration from other people’s travels. Need we say why know self-respecting traveller can be without this? Last but not least, we have Twitter. One thing that travelers miss most of all on their trails is all the latest gossip and news, and there are few faster and more convenient ways to get bang up to date tan with Twitter. In addition, it’s a great resource for getting the latest updates for just about any destination.